Day 7 of Writing 101: Write about Contrast. Make it a dialogue. Let’s see how we do this. Below is something silly, something written very quickly, and is full of puns. I hope you enjoy. A thick morning mist filled the valley of Froot Salaad. The sun had not yet been able to peek above the eastern mountain, but the valley was already alive with activity. Two military camps faced each other, one clung to the foothills of the mountain on the east side of the valley and the other on the west foothills. Fifty yards separated them and one lonely tent stood in the middle. Both camps stirred and busied themselves with menial jobs, but all eyes watched the tent in the middle. Inside this tent was many comfort furnishings including a large, round, polished oak table. Viceroy U.R. Bananas sat at the table and faced the tent flap. He was a tall banana with a deep yellow peel speckled with brown. A small clock on a bureau in the corner ticked away the time. The tent flap opened and in stepped the biggest apple Viceroy Bananas had ever seen. He was bruised in many places, applesauce leaked on his left side from a small wound in his peel, and his stem was bent and broken. “General New Yorker?” Bananas asked. The apple grunted and bowed. “Please, be seated.” Bananas nodded toward a seat to his right. General New Yorker had just sat down when the tent flap opened again. An old and ragged orange stepped inside. His wrinkled peel was missing in spots and revealed his deep red, pulpy flesh underneath. Of course, Viceroy Bananas thought to himself, he’s a blood orange. “Ja.” The Orange said with a strained and tired voice. “Please, sit.” Bananas said and he nodded to a seat on his left. General Nederlands sat, but he stared at the apple with a palpable hatred and anger. I haven’t seen an orange this angry since they lost the World Cup, Bananas thought. Silence held. Neither General New Yorker or General Nederlands looked at the Viceroy. “Of course there is! Why do you think everyone says ‘You are comparing apples to orange’ or ‘Stop comparing apples to oranges’. You see, we are always compared in opposition to each other.” New Yorker leapt from his chair. Nederlands reacted with a leap of his own and he moved to the side of the tent. “Aha!” New Yorker yelled with ferocity. “We are different! So, we are enemies!” He charged toward Nederlands with a furious rage, but stopped dead in his tracks. A motion at the tent flap caught his attention and he looked. A pair of pears stood there and the giant apple quelled his anger and cowered away from them. “Is there a problem?” The pears said in unison. “Not anymore, thank you.” Bananas said. The pears bowed and ducked out of the tent. Neither general made a move. “Look at each other!” Bananas said more forcibly. The two general sat at the table again. Hours passed and the three fruit talked and discussed the war and the much wanted peace. Finally, satisfied, Viceroy Bananas stood. Next postThe Adverbs are coming! The Adverbs are coming! Thank you. My wife says I’m pretty fruity (silly), so I guess that’s why I thought of it. Very clever – a great twist on today’s prompt. This is adorable! It kept my interest the entire time. You might want to copyright this because it would make an adorable children’s television program. I’m sorry, I do appreciate your advice. I think I should be good, though. I couldn’t help but think, what is stopping someone taking it then putting their own copyright on it? How do they know who it really belongs to? Valid question. However, the copyright law is written in a way that states that you have the copyright over something as soon as you put it in a tangible form (paper or blog, etc.) Purchasing a copyright does give extea benefits, but not much. The digital time stamp (and if I put this im an email, etc.) proves when I created it. And even a purchased copyright does not protect an idea. Someone very well could take my idea, change some of the details (probably improve it) and there is nothing I could do about it – because it wouldn’t be completely my work anymore. The only thing I can copyright are the exact words as they are written here, and the fact that I have them written here already provides me with that. Does that make sense? Yes, that makes sense and I understand where you are coming from. It’s sad that people can take other people’s work that easily. Okay. Sounds fair enough to me. If you are okay with it, I am too. Loved it! Creative and fun. I’m just sad that theoment is not a word. Perhaps it is now, though. “Theo” or “theos” is “God,” and suffix -ment indicates action (abandonment =act of abandoning, atonement=act of atoning) so Theoment now means “act of God.” Noun. Use: That tornado was an unbelievable theoment. Per copyright, I believe you own the word and I own the definition. 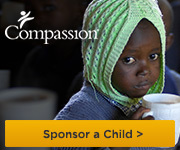 Let’s split profits 30% you, 30% me, and donate 40% to Compassion International. Haha! Loved the concept of battling fruit.